A Federally Qualified Health Center in Northern California serving 31,000 patients annually — of whom 87% are below 200% of the Federal Poverty Level — needed a comprehensive healthcare IT partner with the Patient Engagement and Population Health tools necessary to ensure efficient workflows and deeper insight into the community’s needs, both essential factors if they were to continue to deliver quality medicine and control costs. In collaboration with other health centers in the Redwood Community Health Coalition, Petaluma Health Center chose the eClinicalWorks EHR/PM solution. Providers were particularly impressed with the system’s flexibility and customization, and have invested time and effort to learn many key features, including flowsheets, Order Sets, eClinicalMobile, and Patient Engagement tools, including Kiosk, Patient Portal, and Messenger campaigns. eClinicalWorks has given Petaluma’s providers the tools to deliver high-quality clinical care across the full range of the center’s offerings — in medical, dental, and behavioral health. Staff successfully undertook campaigns for hypertension control and hepatitis C testing, resulting in signification improvements in compliance, and receipt of a 2017 HIMSS Davies Community Health Award for excellence in healthcare IT implementation. 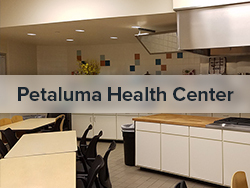 Located in Sonoma County, north of San Francisco, Petaluma Health Center is a Federally Qualified Health Center that provides a broad range of medical, dental, and behavioral health services to more than 31,000 patients, many of whom are below 200% of the Federal Poverty Level. 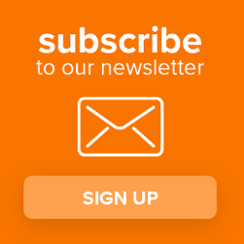 In partnership with eClinicalWorks, Petaluma Health Center has been able to improve their workflows, bolster Patient Engagement, and focus on quality care. In 2017, their efforts to control high blood pressure and increase screening rates for hepatitis C were recognized with receipt of a HIMSS Davies Community Health Award for excellence in the implementation of healthcare IT.